Want to whizz across a mountain lake on water-skis or catch a jumbo-sized trout from a pontoon boat? 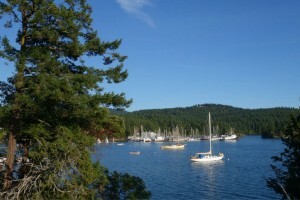 Boating Whitefish Lake can create a perfect summer memory. With over 16-miles of shoreline and back-dropped by snowy mountains, it’s no wonder that Whitefish Lake is one of Montana’s most popular boating spots. Location: 1-mile northwest of the train depot. Take route 93 over the viaduct and follow the signs for City Beach. Seasons: Accessible year-round. In summer water temps reach about 75 degrees along the shore. In January the lake freezes. Boat Launches/Marina: The lake has two concrete boat launches; City Beach and Whitefish State Park. 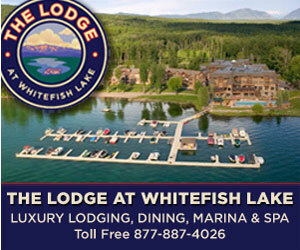 The Lodge at Whitefish Lake is the only public marina, renting motorboats, kayaks, canoes and jet skis by the hour. If you don’t want to navigate your own craft, enjoy a 2-hour lake tour aboard the “Lady of the Lake”. 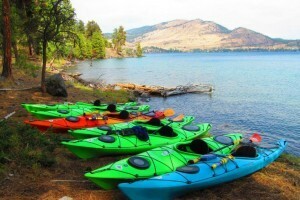 Camping: Whitefish State Park is the only location for camping on the lake. Open year-round. Dogs are allowed. Fees range from $7 to $23. A 14-day maximum stay. Fishing: Catch a jumbo lake trout, bull trout, rainbow trout or mountain whitefish here, but you need to move away from the pleasure boaters to deeper water. Day-use only. Good for boating, fishing and picnicking. Location: 6.5 miles northwest of Whitefish. Take Route 93 for 2 miles, then follow Beaver Lake Road 4.5 miles. Seasons: Accessible year-round. Lake freezes in winter. Boat Launch/Marina: No Marina. Concrete boat launch. Fishing: Popular with locals for large rainbow trout and kokanee. 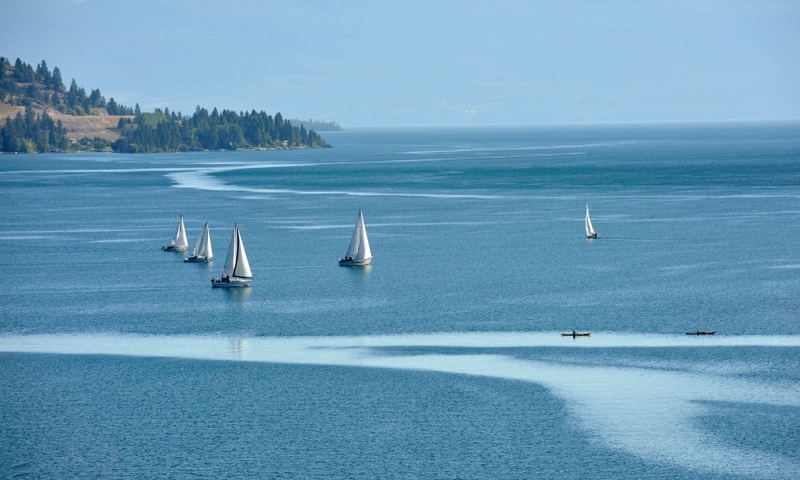 The largest fresh water lake in the West, Flathead Lake provides miles of great boating. Location: On Route 35, 7 miles south of Kalispell, stretching for 30 miles. Seasons: Accessible year-round. Due to its size and depth, it doesn’t normally freeze through. Summer water temps range from 55-65 degrees. Camping: Camp sites are located at five state parks on the lake. Fishing: In addition to a Montana fishing license, you must secure a Salish Kootenai tribal fishing license for the southern portion. The state record lake trout was caught here, weighing 42lbs. Rainbow trout, northern pike and bull trout are also found. Yes. All non-residents, 15-years and older must have two licenses to fish in Montana: Conservation License and Fishing License. Conservation license applicants must provide a social security number, valid driver's license or photo ID. 2-day, non-resident fishing license is $25 and available at five different locations in Whitefish, two in West Glacier and online. I am looking for a fishing guide. Where do I go? 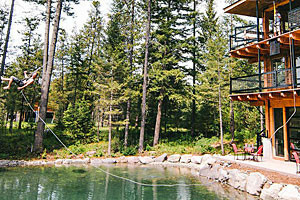 Whitefish’s fishing and sporting goods shops offer guided trips and provide boat delivery and equipment.